Lousje's Pick - OOAK Exclusive! We are taking a quick break from the One of a Kind Show to show you one of our labours of love, created exclusively for the show. 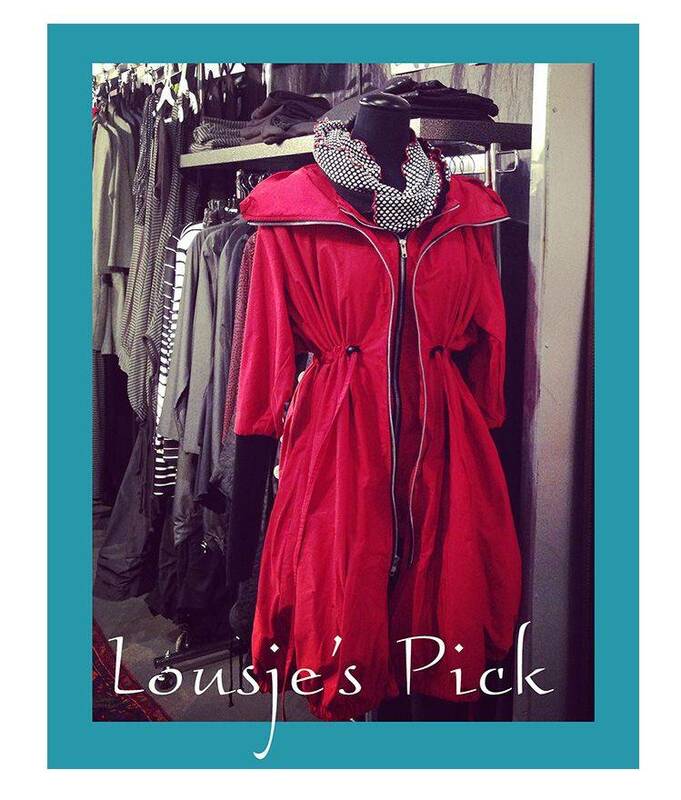 Our beloved Bubble Coat is making its debut in this amazing Red Chili fabric, perfect for the holidays and is Lousje's Pick this week. If you love this one as much as we do, you'll need to come to the show to snag it because it will not be in our store and is a very limited edition. Our Bubble Coat requires four meters of fabric per coat so we scoured the country to find enough to make nine coats. Trimmed with our signature polka dot lining, double zippers and flattering cinched waist, this coat will turn heads and will be a staple in your closet for years to come.